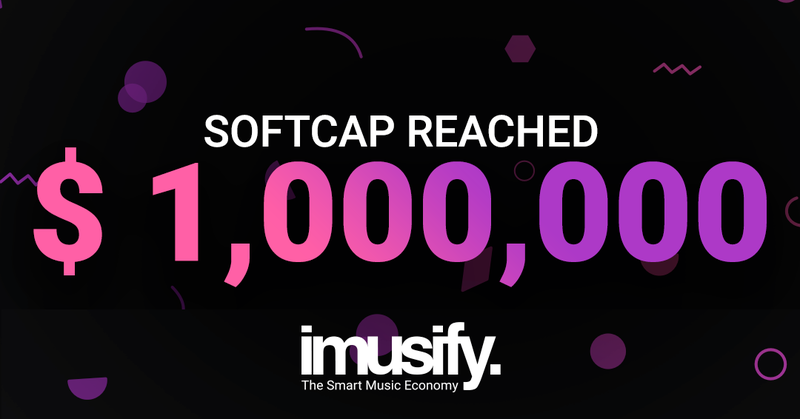 We are proud to announce that imusify reached its soft cap goal of 1 Million USD during the private sale. This ensures the project’s long-term viability. It’s great news for imusify considering our public Token sale is LIVE! imusify is building a revolutionary platform that aims at improving the current state of the music industry, inviting musicians and music lovers to be a part of the Smart Music Economy. Targeting global markets worth USD 17 billion for the recording industry itself, imusify is an alternative to music streaming platforms where artists are not paid enough per stream. On imusify, artists can post their songs for free, and get paid in IMU tokens for their streaming plays. What’s next? Crowdfunding, Copyrights Management, and File Sharing! The award-winning project will have more revenue streams for song creators and listeners. IMU, imusify’s native cryptocurrency, is a utility token for artists and fans to exchange value within the ecosystem. We are offering a discount of 30% on the purchase of IMU tokens. The presale will end on April 30. Know the benefits of holding IMU tokens here. Looking forward to more listing partnerships and collaborations in 2019! Great going imusifyers!